Courtney Love opened up to Vanity Fair‘s Nancy Jo Sales 19 years after Lynn Hirschberg’s controversial profile in the same magazine that detailed Love’s drug use, saying she introduced Kurt Cobain to heroin, and even did smack when she was pregnant with their daughter Fraces Bean Cobain. And this time Love is still refusing to hold back the controversial comments. She says she’d have no problem murdering her deceased husband Kurt Cobain if he came back to life. She went on to say that Kurt overdosed “at least five times,” and that she continuosly had to save him from his own drug use. Courtney also revealed to VF that her daughter Frances Bean (who emancipated herself from Courtney when she was 17, and just recently bought herself a $1.8 million mansion) didn’t know how to read until she was seven because Courtney never read to her. Courtney’s interview coincides with the Setember 25th, 2011 re-release of Nirvana’s iconic album Nevermind, and the upcoming October 25th release of the limited edition Nevermind Super Deluxe Box Set. Courtney still owns the lion’s share of Nirvana’s publishing rights. 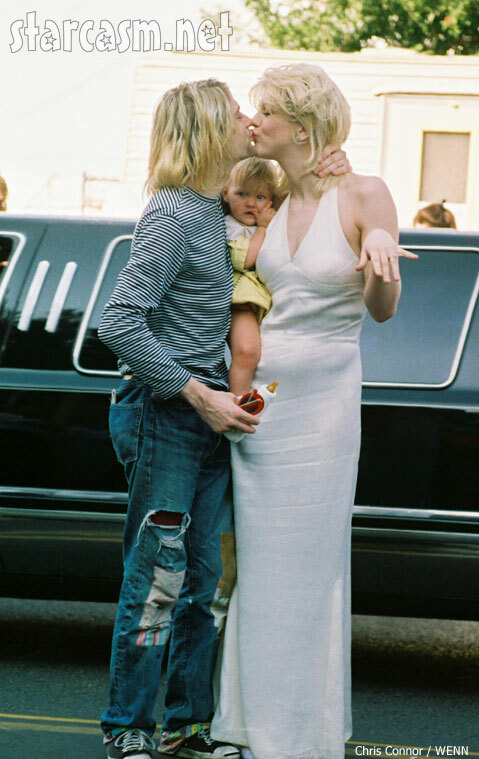 What did Courtney Love tweet for her daughter Frances Bean’s 18th birthday?